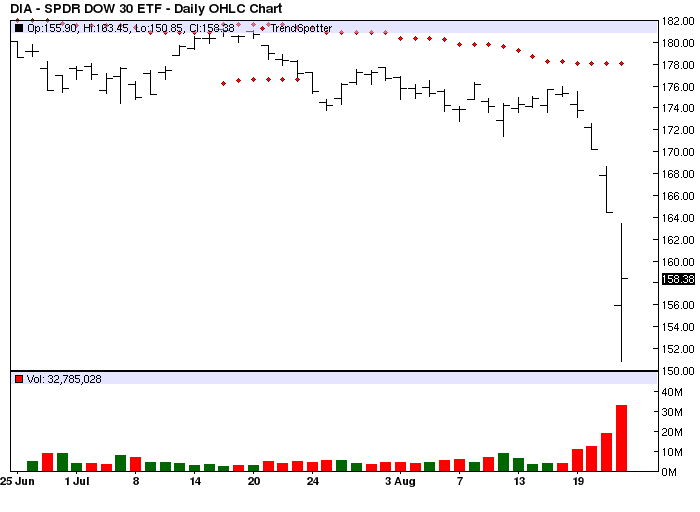 Today's Chart of the Day belongs to the SPDR Dow 30 EFT (DIA). 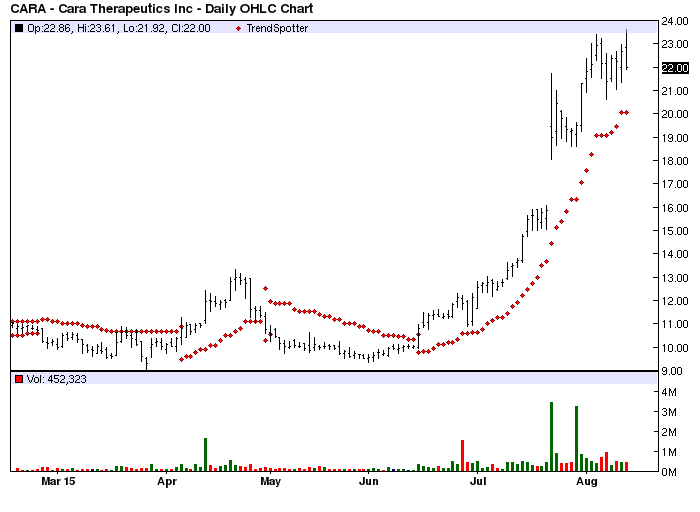 I'm using it to illustrate that the Barchart technical indicators can keep you on the right side of the market. Both the short term technical indicator the Trend Spotter signaled a sell on 7/24 at 175.52 and almost at the same time the longer term technical indicator the 50-10 Day MACD Oscillator signaled a sell on 7/27 at 175.52. Heeding those indicators would have saved you between 10.01% and 10.82%. Either way you would have been a happy camper. SPDR Dow Jones Industrial Average ETF Trust is an investment trust incorporated in the USA. The Trust consists of a portfolio representing all 30 stocks in the Dow Jones Industrial Average. The Trust entitles its holders to proportional monthly cash payments representing dividends paid by the underlying stocks. The Initial Index ratio upon inception was 1/100 of INDU. The signs were all there; I hope you heeded them and lived to fight another day.